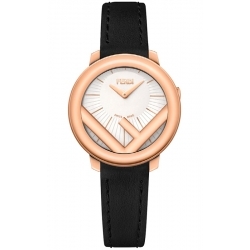 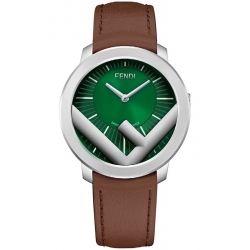 Fendi Run Away watch collection features a modern combination of deep geometric shapes with mild lines expressing the spirit of the F - Fendi logo in unique upside-down position. The straight yet graceful lines of the case show feminine style while the watch’s curved off-centered dial gives a striking outlook to the timepiece. 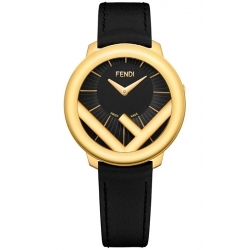 The collection is presented by cases of various sizes - 28, 36 and 41 mm. 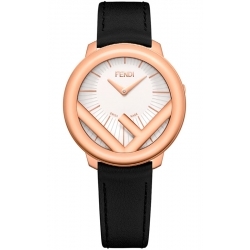 They're made of durable stainless steel: polished, yellow or rose gold plated, and in two tone combination. 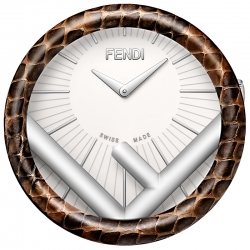 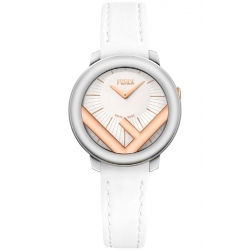 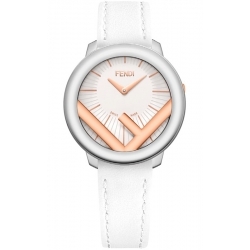 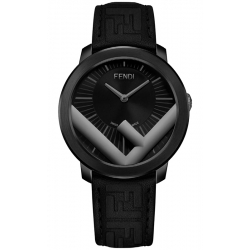 The off-centered curved dial highlights an F insert - the FENDI DNA. There're luxurious versions encrusted with high-quality diamonds. Each timepiece is equipped by precise Swiss made quartz movement. 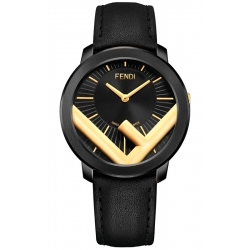 This watch series is perfect for everyday wear as well as for special occasions.